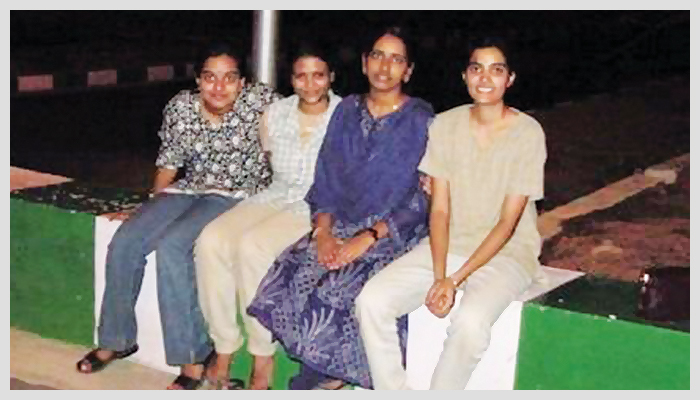 As IIIT-H celebrates its 20th anniversary, we tracked down 4 former students who took the first of many steps in a male-dominated tech world. From witnessing a meteor shower to sharing living space with a frog family, from being isolated as a minority on campus to finding a life partner in the same batch, they tell us all in their own words. 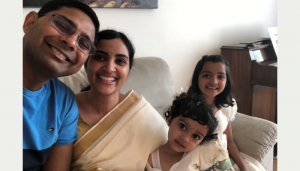 Rupa Krishnan: With a Masters from University of Georgia, Athens and PhD from SUNY Stonybrook, this mom of 2, who heads an Infrastructure Team at Google Cloud currently lives in the Bay Area, SFO. 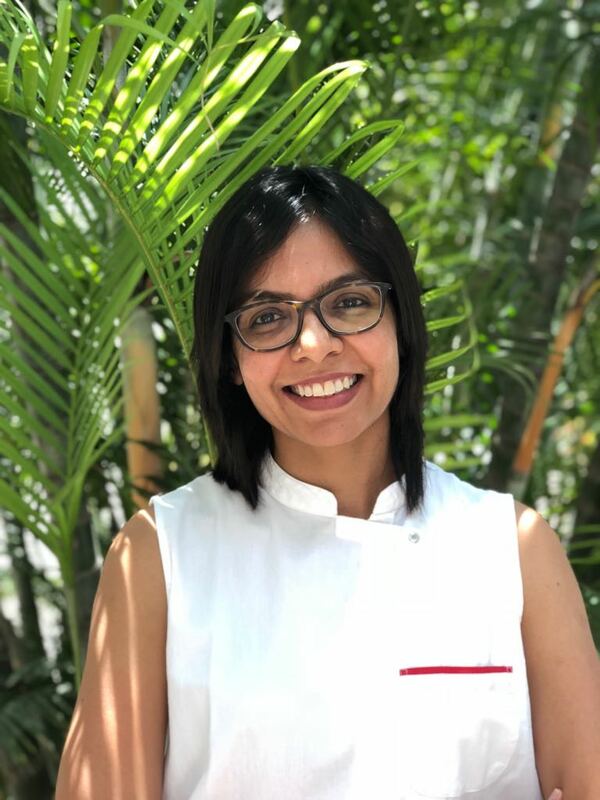 Soujanya Lanka: Armed witha doctorate degree in Computer Science specializing in data mining and visualization from IIIT-H, Soujanya currently heads the research initiatives at i.am+ with emphasis on natural language processing, machine learning and AI. She also leads a large enterprise project; delivering in-house developed NLU platform as a service to a major global telco operator. She lives in Singapore with her husband and two kids. 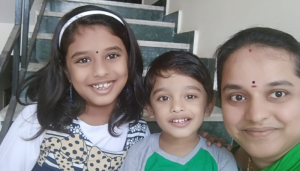 Lalitha Munaga: This Hyderabad-based mom of 2 is currently on a career break. After graduating from IIIT-H, she worked in companies such as CMC, Motorola, a startup and iNautix. Subarna Sadhukhan: Has been working primarily in Google Maps for the last decade. This mom of 2 boys got her masters from Rutgers, New Jersey specializing in Graphics and Human computer interaction. She currently leads engineering teams focussed on Google Local within Maps. Rupa: My mom saw an ad for the IIIT entrance exam in the newspaper and asked me if I would be interested in appearing for it. I was especially happy that the entrance test didn’t have a Chemistry section!. My parents weren’t really sure about it especially since IIIT-H didn’t have accreditation then. However, during counseling there was a panel of amazing people including Mr. Ajay Sawhney and Dr Raj Reddy. The project had a lot of support from the then Chief Minister and so it seemed like a risk worth taking. I am glad I took it! Soujanya: I was keen on Engineering and particularly Computer Science as a couple of my family members were already working in that field. After giving the entrance examinations IIT-JEE and EAMCET, AIEEE (first-time entrance test for IIIT-Hyderabad) was announced. My father was the one who pushed me to take the test seriously as he was convinced about the motive behind bringing up a new institution like IIIT-Hyd and its vision. Lalitha: My uncle got the information that there is an entrance test being conducted for a new institute and was fostered by the then ruling government. Having read a newspaper article about HiTech city and the IT boom in Hyderabad, with a separate institute for information technology, I thought of giving it a try. After clearing the exam, there was a committee of prominent personalities including IAS Officer Ajay Sawhney who patiently answered the questions that parents and the students had during the counseling session. I also remember making a written note along with a few non-local girls mentioning that we are very much interested in joining if there is a proper hostel facility and not the housing board nearby (the place was very eerie and lonely contrary to the situation now). Except my father, no one else from my family supported my decision of joining IIIT-H. Finally 50 students came forward to join the institute knowing it was a diploma course. I was one among them! Subarna: My parents are risk takers in terms of education and thought trying out an institute which was backed by different corporates, unusual at that time, might be a good idea. Besides, it was so close to home! 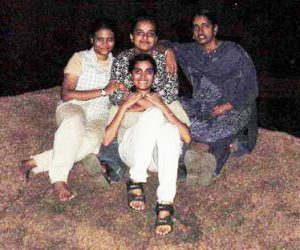 Rupa: When we joined there were no hostels. The campus had the faculty apartments and 2 big houses. The girls shared one of the houses. The 46 other boys got the apartments and the other house. Our ‘house’ had 4 bedrooms but we decided to only use 2 rooms and each room was shared by 2 girls. I don’t think we had hot water. I had an old fashioned electric rod which we used to heat water with. I am surprised that none of us got electrocuted!. We also had no professors on campus at night. We only had a couple of security guards. I think one was stationed outside the girls hostel. There were very few street lights so we had to use flashlights to get to the mess. The hostel also didn’t have TV or a telephone, both were in the Mess building. There were snakes and scorpions on campus. I remember there was a frog family living in the girls hostel at one point! Soujanya: Hostel and mess facilities were sufficiently provided, in my opinion. I am not very particular about type of food or menu, as long as food served is fresh and hygienic enough that served the bill for me. Lalitha: The first two years we had stayed in the then judges’ quarters (which later became professors’ quarters). 4 of us stayed in the same sized house as the one shared by 12 boys. I still remember, the admin and the initial team that were there have made us comfortable in providing what we asked as much as possible. They got the mosquito mesh fixed for the windows immediately. We were allowed to use immersion coils for hot water. There were no street lights and we used to go by torch to the mess building. By the end of the second year we had a luxurious girls’ hostel, single rooms with an attached bath and hot water supply. Subarna: We girls shared the current staff bungalow. It was just awesome. We formed some of the strongest bonds back then by living in such close quarters. The most disgusting experience was a frog family living right in the house. 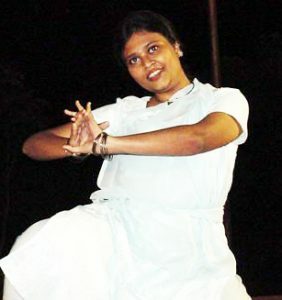 Rupa: The most important thing I learnt at IIIT was how to learn! I developed a love for Computer Science. It also served as great practice for handling a male-dominated tech world. Soujanya: IIIT-H laid the foundation for the work I have been doing so far. I have a very long association with IIIT-H by not just graduating with bachelors but also with a PhD. 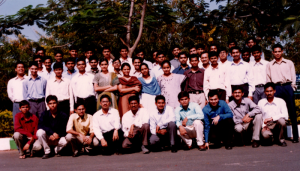 So, in a way I have been a student of IIIT-H from 1998 to 2011 (~13 years, phew!). So, all these 13 years have been a constant source of learning on various fronts holistically; not just technology or subject front. One thing I can say for sure is that there is more learning about one self and self-management during the university life. That itself is a huge contributor to align anyone’s future accordingly. 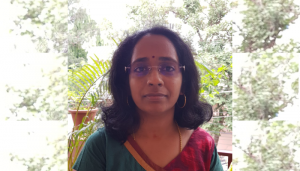 Lalitha: I am from a conservative family from a mid-town (Vijaywada) and have studied in a girls’ school and had no exposure to the outside world. IIIT taught me how to be independent from family and stand equal and demand respect as an individual rather than as a girl student! I always hated people saying, girls can easily bag a seat because there are admission reservations for female candidates. IIIT – being an institute with no reservations, I can proudly say, I earned the admission without a reservation!! Also with no seniors, we learnt how to self sustain ourselves. Subarna: Survival I would say… IIIT-H gave me the backing to build up confidence, an exposure to multiple sub options within CS and Engineering. I also appreciated the TA-ship opportunity. It not only gave me the ability to teach, but also helped me learn about myself. And the extra cash was also much appreciated. Rupa: One of the main strengths of IIIT-H has always been its talented faculty. Dr Govindarajulu encouraged a love for Computer Science. Dr Kaul was extremely nice to us and invited all 50 of us for dinner at his place a couple of times. So did Dr and Mrs Marathe. Dr Rajiv Sangal’s NLP lab was where we were first introduced to Research and its applications. Seeing so many professors with PhDs from prestigious institutes and passion for their fields was an inspiration for all of us. Soujanya: For me, it was databases and anything related to data. Data mining was a hot phrase then and these courses were taught by Prof. Kamal. His courses inspired me to continue along the path of data and choose a topic in the same field for my PhD as well. His enthusiasm while covering these topics is very infectious. I still love working with large amounts of data (structured, unstructured in whatever format). It always excites me. Lalitha: Research started only in the later part of our stay in IIIT except for NLP and has increased in leaps and bounds thereafter. All the faculty we had were fantastic!! To mention a few: The enthusiasm with which Govindarajulu Sir took our classes (not to forget the leg-pulling aspect), Distrubuted Database management systems by Prof Kamal, Theory of Computation Crash course by Prasad Jayanthi followed by his Distributed Algorithms course, AI and Vision courses by Prof PJN and Jawahar Sir!! Prof. Kaul’s Maths classes were lively too. Subarna: We had some of the most experienced professors coming from various fields, each very advanced in their research, ranging from DB to NLP to Vision. That meant we got a very decent exposure to research in a lot of areas. My final year project was with Dr. Narendra Ahuja from University of Illinois, Urbana Champagne. Rupa: In our first year there was a meteor shower. All of us got onto the terrace in our respective hostels/houses to see it. It was a spectacular show since there were almost no other lights in the area. But being one of just 4 girls was definitely isolating. The boys had more resources at their disposal. For example many of the boys had done programming in their 11th / 12th grades. So they could ask for help. Being the first batch, we didn’t have seniors and also didn’t have TAs to approach with questions. None of us had any programming exposure and we definitely had a tougher time initially. With only 4 girls in our batch interactions with boys weren’t much in our first year. Over the 4 years it did become a lot better and we had a gang with whom we would go for movies. In the fourth year we had a lot of birthday parties where 2-3 students whose birthdays’ fell together would sponsor something for the whole class – such as movie tickets for all 50 students or dinner. Those were very memorable.Sujit Kuthirummal from the same batch was one of my closest friends at IIIT-H and definitely after that! Soujanya: I have come so far in my life that I believe every memory in IIIT-H so far, is memorable and I have either learnt something from it or am still learning from it. Some of the best memories are about having an opportunity to meet the best minds in Computer Science or at least get to hear them live either as part of their visits to IIIT-H or as part of internships that IIIT made possible. Everytime that happened, it would only amplify my gratitude for IIIT-H and inspire me to do better. Lalitha: The Leonid meteor shower – we really enjoyed that in our first year ! Having no street lights was a plus especially that day. Being the first batch, we were really attached to the professors very much! Professor Kaul and Mrs.Kaul have hosted a dinner party to our batch. He welcomed us very nicely and I remember very well, Prof. Kaul taught us how to give a ‘professional’ hand shake. I also had the opportunity of going to Dr. Govindarajulu Sir’s house for celebrating Ganesh Puja with a couple of other students. As a student, I had never missed celebrating Ganesh Chathurthi, with my parents. One of those 4 years, I could not go home for Ganesh Chathurthi and being able to celebrate at Sir’s house, made me feel at home! Subarna: In the later years we became good friends with the boys in the class. 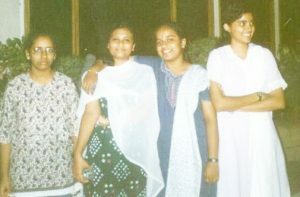 We had a biggish gang and then started to do what would be regular college life – going for movies, eating out etc. The first years were not that. in the first couple of years, I would say girls felt really isolated. This affected us not only in the social context but also for prepping for exams etc. I found my life partner though in the same batch! Rupa: IIIT-H was very good preparation for real world. Since IIIT-H, I’ve been constantly surrounded by people who are smarter than me, better than me at so many things and who can get the same things done much faster. I’ve tried to use this as a learning opportunity since there is so much you can learn from people better than you. Also just because there are people smarter than you it doesn’t mean you have nothing to contribute. Interest and passion are just as important as talent. Just showing up and doing the best you can will help you get pretty far ahead. Having a growth mindset is very important, and every failure is a great learning opportunity. Soujanya: All I have to say is I face challenges every day on the home front and work front. In spite of all challenges, I realised that I do well only when I show empathy to myself, my family and my colleagues – which in turn helps to create a harmony. Lalitha: For women at work, I’d say with family obligations and career breaks, the second innings or the comeback is the tough part. Joining a good college and studying well will ensure you get to a good place in first innings. Only time will tell whether I have been successful in the 2ndinnings, but here are my observations. You need to plan ahead for a comeback. Networking with college mates and fellow mates at work even after moving to a different place is very very important especially for girls. You never know which contact might come in handy. You need to keep your immediate family aware of your dreams, plans and take constant support. I have seen bosses taking even star performers off good projects and giving them secondary treatment once they know the female employee is getting into family responsibilities. Make it clear to the higher authorities that you can handle your work responsibilities equally well even with additional personal responsibilities and strive to live up to what you have promised! Subarna: Keep an open mind. In an institute like IIIT-H, it is common to come across people who you would think have their career and learning goals all set. That can be daunting. Then again, this is not common and it is okay to not have it all figured out. Learn as much as you can, you might learn CS is not the thing for you and that is okay too. An Engineering degree from IIIT-H will prep you regardless on how to mold your thinking that can be applied to many problems going forward.